Employee performance management software is critical to keeping the best talent. 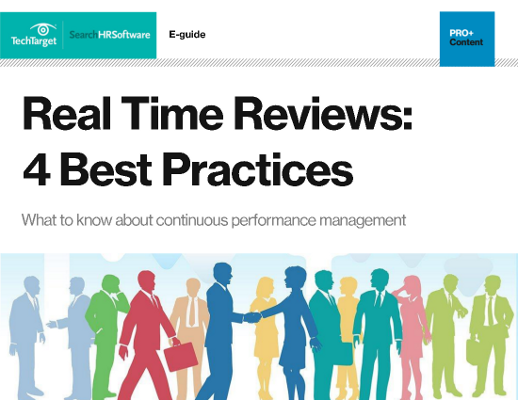 This resource is dedicated to helping HR, business decision makers and managers understand the performance management system vendor landscape. It includes articles and advice on issues such as how technology supports employee evaluation, what the most important benefits of performance management are and how to spot workforce trends. Two Qualtrics customers talk about how they've successfully measured employee experience, and how doing so has effectively changed how the business operates. Offshore outsourcing can be a traumatic event for employees -- both for those who lose their jobs and for those who survive. It's HR's job to figure out the real impact it's having on employees -- a task that may benefit from new technology. Culture Amp, an employee engagement platform, has acquired Zugata, an individual development peer-to-peer platform. An initial benefit for customers may be deeper analytics. HR tech vendors make tools designed to improve a company's employee experience. So, it makes sense that a handful should appear on Glassdoor's Best Places to Work list, right?